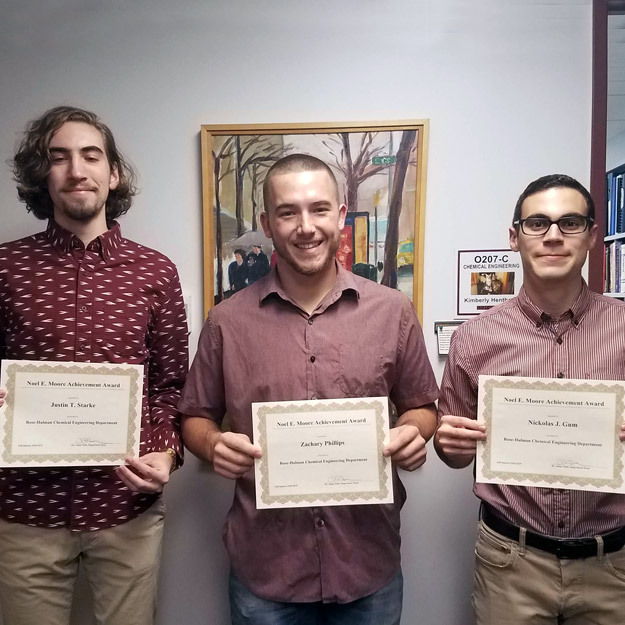 Our program lets you pursue independent research projects on a variety of topics from surfactants to optimization of heat exchanger networks and phase equilibria of polar fluids. You'll get hands-on, personalized experience in our labs, and you can choose from many specializations to tailor your learning experience. Our department has earned global respect by providing a world-class hands-on education with personal attention for decades. 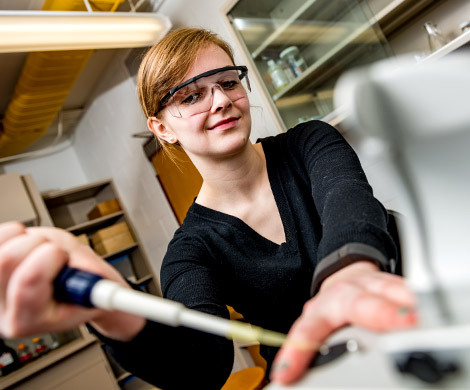 As a ChemE major, you'll conduct research in our state-of-the-art labs beginning your first year. And you can select from several areas of concentration, including chemical engineering analysis and energy production and utilization. 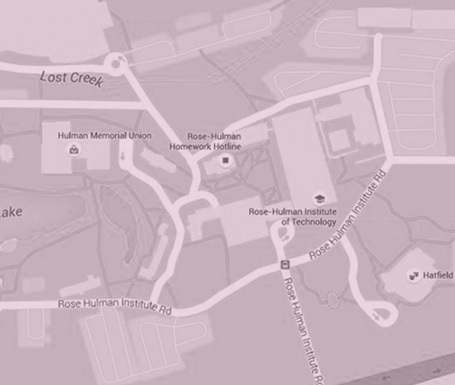 Rose-Hulman awarded the nation's first chemical engineering degree back in 1889 and have been educating the world's best chemical engineering professionals ever since. 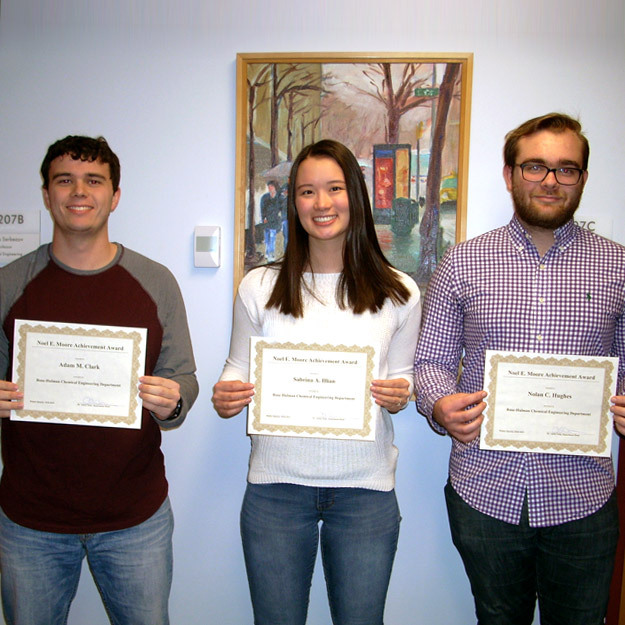 Our career placement rate is always near 100 percent and our graduates go on to great jobs at companies such as Anheuser Busch, Archer Daniels Midland, Cook Medical, Frito Lay, Koch Industries and Eli Lilly. 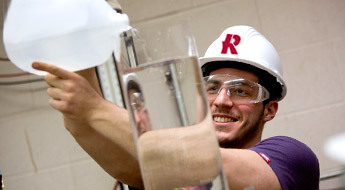 Because of its breadth of technical and scientific foundation, a chemical engineering degree will prepare your for a variety of fields. You can also choose areas of concentration to enhance your knowledge. 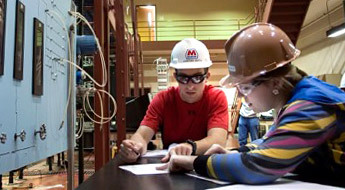 Non-chemical engineering majors may also supplement their degree with a minor in this chemical engineering. 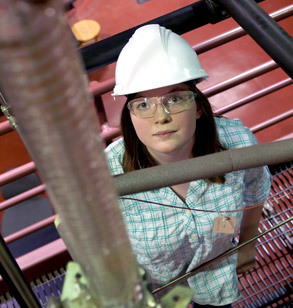 A chemical engineering major will give you a foundation for a career in the chemical process industries. We stress fundamental principles to prepare you for either graduate study or a career in industry. You’ll have opportunities to put your classroom lessons to work through independent research and interdisciplinary projects. 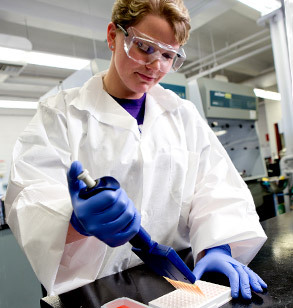 Our program’s flexibility will allow you to tailor your education to your interests. We offer both a thesis-based master of science in chemical engineering (MSChE) and a course-based master of chemical engineering (MChE). Our area minor in chemical engineering is designed to introduce principles of chemical engineering to students majoring in other disciplines. 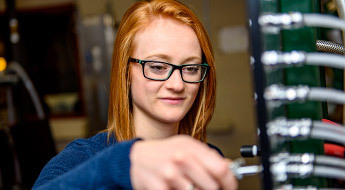 A degree in chemical engineering will open the door to a variety of career paths in industries ranging from biochemical, biomedical, chemical, environmental, food, materials, paper and pulp, petroleum, pharmaceutical, polymers and semiconductors. Metallurgists work in a variety of industries to develop metals and metal alloys that meet the specifications required for a particular application. 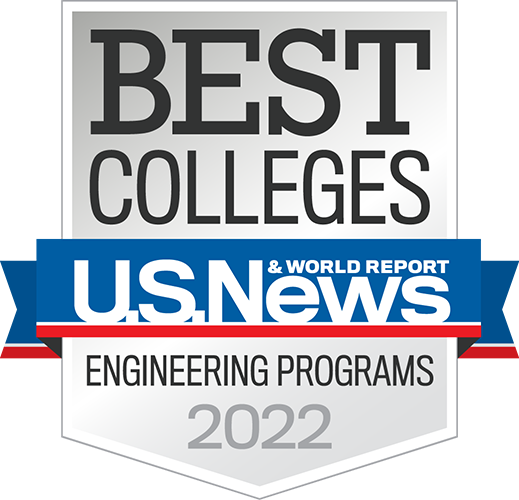 They may find themselves developing aerospace materials or analyzing structural components of building materials. 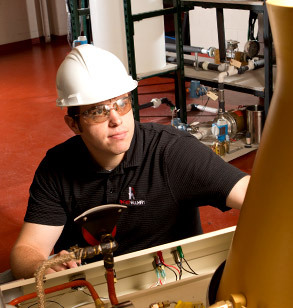 Plastics process engineers oversee the design, development, and manufacture of plastic products. They work in a wide range of industries, making products from automotive parts to biomedical devices. A pharmaceutical engineer works on the development and manufacturing of products, processes, and components in the pharmaceuticals industry. They may often find themselves working in interdisciplinary teams, so strong communications skills are important. 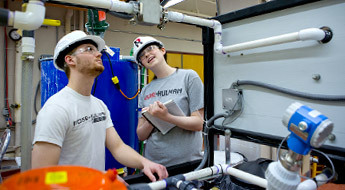 Learn about the latest happenings, recent research, and more about Chemical Engineering at Rose-Hulman. 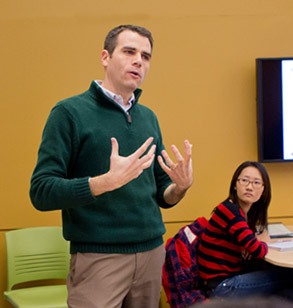 Since joining Rose-Hulman in 2009, Dr. Adam Nolte has been a proponent of interdisciplinary collaboration. 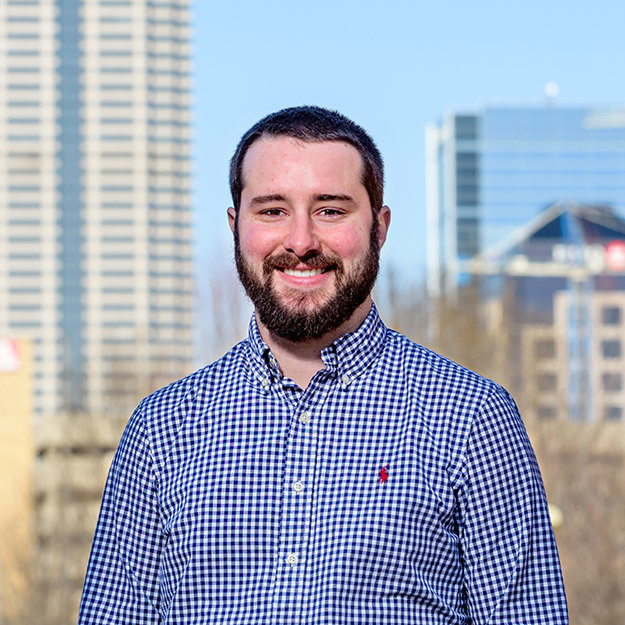 As head of Chemical Engineering, he brings a combination of industrial, academic, and government laboratory experience to bear on his teaching and research in order to provide opportunities for students to learn and grow professionally.